A professional athlete who regularly competes at the global level, Katerina Nash currently serves as a member of the Clif Bar & Company’s Luna Pro Cycling Team. A professional cross-country mountain biker and skier, Katerina Nash holds three Olympic wins representing her native country, the Czech Republic. She has raced competitively since the 1990s, traveling to events throughout the world. Among numerous victories, Katerina Nash holds a World Cup Championship in cyclo-cross. Currently, she remains the longest-standing member of the LUNA Chix Pro Team, continuing its reputation of success. 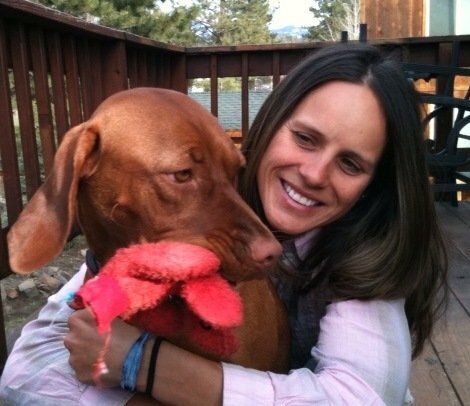 Katerina Nash holds a degree in marketing from the University of Nevada in Reno, which brought her to the United States in 2000 when it granted her a cross-country ski scholarship. Subsequently, she turned her efforts from skiing to mountain biking. In addition to being a three-time Olympic competitor, Katerina Nash earned two Sea Otter stage wins, three first place victories at ST Norba National, four NCAA XC-skiing championships, and took 8th place at the 2006 Belgium World Cup. Although a knee injury prevented her from entering the 2008 Olympics, she soon recovered and began racing again. The following year she gained first place in the USGP Stanley Portland Cup. More recently, Katerina Nash finished third in the UCI Cross World Cup in the Czech Republic and then went on to earn the victory in the Tabor World Cup, competing only a short distance from her home town. In the 2011 season, she also won the USGP Cyclo-Cross Series Overall in Oregon, the CrossVegas in Nevada, and the Nevada City Classic in California. Already this year, she has competed in the World Cup Cross series, racing in the Netherlands and France. She also hopes to enter the Olympics again. Aside from competitions, Katerina Nash enjoys small towns, organic markets and shops, extensive ranges of hills, and playing with her dogs. A committed health supporter, she contributes to the Breast Cancer Fund.